Add: No. 2, Wanshou Street, HanTan village, Renhe Town, BaiYun Area, Guangzhou City, Guangdong, China. 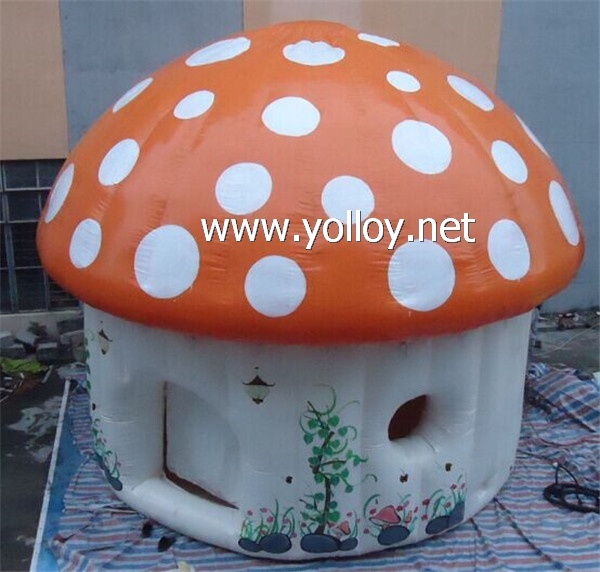 The Inflatable mushroom house consists of two parts,the roof and the around wall.They are connect by strong straps.As shown in picture 1. There are two fly screen and roll blinds on the windows,pls check the picture 2. And there is a zipper door,you can roll up it as a reel,and tied on the side. Here are some pictures from our customer,they use it for outdoor hotel. Customized can be acceptable,if you have a picture and sketch，pls feel free to contact us.